Yes, this is a real product featuring a 16oz steel can for long-term storage. 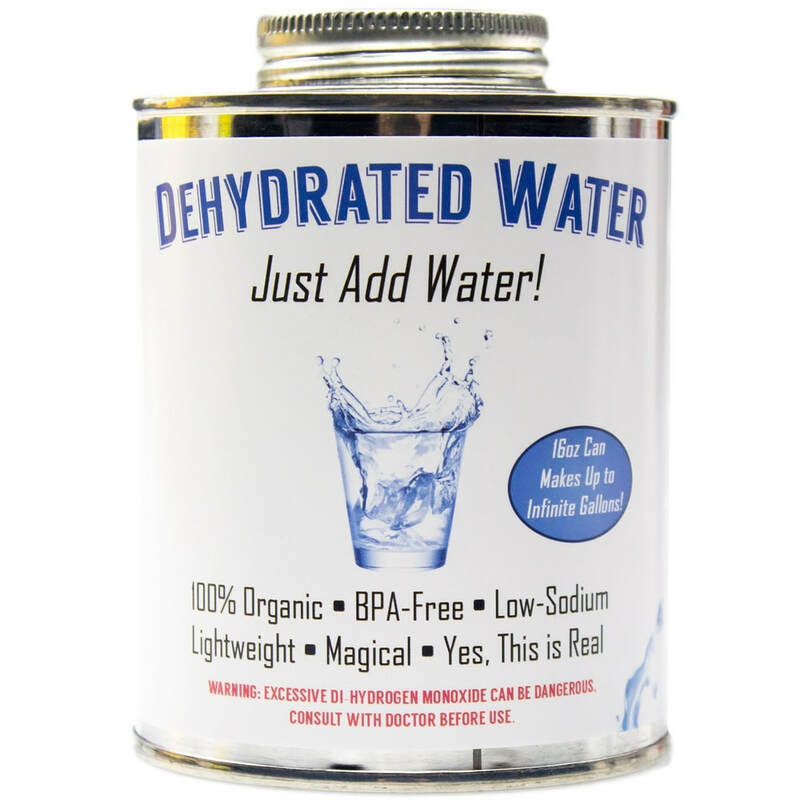 How else would you be able to store dehydrated water? Any of your friends into prepping, survival or camping and hiking? We guarantee they will laugh their asses off when you give them this critical element of any preparedness strategy. Make thirst disappear with this new formula that when diluted, can make up to infinite gallons of water. So practical - we couldn’t believe it wasn’t available sooner!